Talcum power has been associated with an increased risk of ovarian cancer and there been multiple studies done to confirm this. Juries are now holding manufacturers of talcum powder responsible for cases of ovarian cancer. Our West Palm Beach product liability attorneys have been working with women and their families across the United States who have suffered as a result of using talcum powder. We are diligently seeking and obtaining compensation on their behalf. According to Cancer.org, the International Agency for Research on Cancer (IARC) classified talc that contains asbestos as “carcinogenic to humans.” However, the federal Centers for Disease Control and Prevention (CDC) does not list talc as a risk factor for ovarian cancer. Still, this has not stopped victims of ovarian cancer from seeking and obtaining compensation based on the connection between their use of talc and their development of cancer. Millions have been awarded on behalf of people affected by talcum powder. If you or a family member has been diagnosed with ovarian cancer after using talcum powder in the past it is imperative that you seek experienced legal counsel immediately. 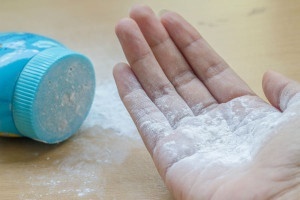 Our West Palm Beach product liability firm may be able to help you obtain compensation for health problems or death caused by talcum powder exposure. Please contact us to schedule a free consultation with our product liability attorneys. We help talcum victims throughout the United States.